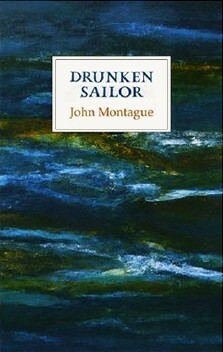 Drunken sailor / John Montague. - Oldcastle (Co. Meath) : The Gallery press, 2004. - 80 p. ; 22 cm. DESCRIPTION : At seventy-five, John Montague, the doyen of Ulster poetry, is as vigorous and creative as ever. Drunken Sailor opens at the mouth of Cork Harbour, then journeys across the county to West Cork before embracing matters of his Northern past. Mortality and the power of myth are among his subjects, and there is an underlying dialogue with Yeats, from the ruined towers at Roche's Point, to the glimpse of Ben Bulben in the ambitious longer poem, The Plain of Blood, with which the book culminates. But Montague's vision is both more pagan and more Catholic. In his second volume of lyrics since Collected Poems (1995), John Montague combines the energy and ardour of a young poet with the wisdom and rue of a sage. ❙ John Montague was born in Brooklyn, New York, in 1929 and reared on the family farm in Co. Tyrone. He divides his time between France and Co. Cork. His Collected Poems appeared in 1995, the year he received the America Ireland Fund Literary Award. In 1998 he became the first Ireland Professor of Poetry. The gate scringes upon its hollowed stone. the girlish gravitas of the Virgin on her shelf. kindling embers of a long-smoored self. Poète d'Irlande du Nord (Co. Tyrone), né à Brooklyn (USA) en 1929, John Montague est mort à Nice le 10 décembre 2016.